If you wish to visit a Muslim Country with enticing history, breathtaking natural landscapes and wonderful cuisine then join one of our Morocco tours and trips. Morocco is a culturally rich, exotic, majestic country that sits at the crossroads of Europe, Africa, and the middle east. A great travel destination for your upcoming Muslim vacations. There is no place on earth quite like it. 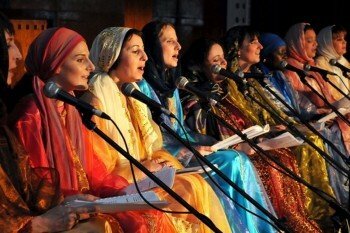 Immerse yourself in Moroccan Sufi Culture as you experience the amazing sights, ancient sounds and intoxicating scents unique to this beautiful country. In our Muslim trips and vacations, you will be treated to local Sufi Music, Halal cooking classes, drumming workshops, walking historic ziyyarats, traditional and spiritual and gatherings. Sufi Maqams retreats and celebrations, mint-tea ceremonies, and an opportunity to meet and mingle with locals. Contact us for your Islamic travel plans, we can also customize your trip to meet your time frame and budget. 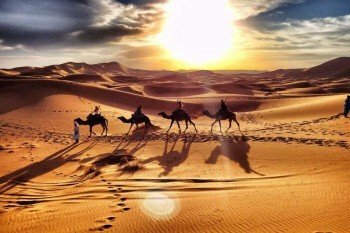 This Muslim destination with unsurpassed natural beauty, the Atlas mountains, and the Sahara desert give travelers a one-of-a-kind experience as they discover the country's wide array of cultural and spiritual aspects, which differ tremendously from anything you have seen before offering an affinity for hospitality and friendliness. Our extraordinary Islamic trips will exhibit to you the reality of this destination. When one thinks of Islamic Centers of knowledge, Islamic architecture, arts and crafts not to speak of high mountains and vast deserts, Morocco should immediately come to mind, offering some of the most impressive mountain and Sahara desert treks in the world. Additionally, its indigenous populations of Berbers and moors, Bedouins, Tuaregs offer thought-provoking insight into ancient cultures that differ remarkably from our own. Moroccans in general especially who dwell in the Atlas mountains and the Sahara desert have long fascinated ethnologists, as they represent cultures unchanged by time. All of our adventure packaged treks have native Berber guides, who will enhance your travel experience through these little-known regions. 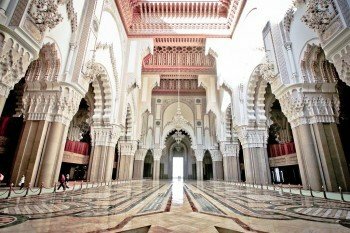 We also specialize in Muslim and spiritual journeys that cover regions unique to Morocco. In our active tours, you will explore unique vistas in these mountains and valleys laces with lush oases and unique rock formations like Jbel shero, Toubkal hights among cliff-hanging villages and the enchanting groves overflowing with almonds, saffron crocuses. You will also discover the picturesque plateaus, blooming wadis, oases, and palm groves, along with the voluptuous sand dunes and tents of the Sahara desert's nomadic cultures. We welcome you to share with us an experience only an insider can offer. You will travel overland in 4x4s from a coastline bathed in Mediterranean breezes to explore ancient Roman ruins, walk or ride your camel in the Sahara and over the dunes through oases and kasbahs, Berber villages and valleys. 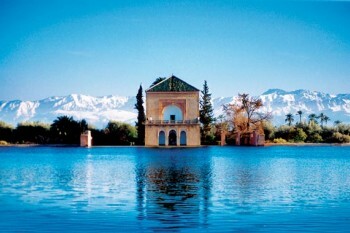 Take an easy hiking tour near the snow-capped Atlas mountains and shop in bustling, ancient souks and markets. At cross-cultural services, we offer trips for groups, individuals, and families, to all types of travelers from around the world. 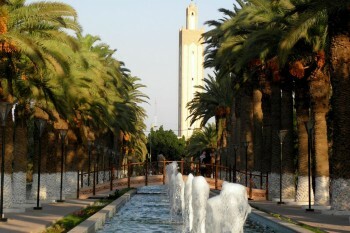 We do offer cultural tours based on historic sites, and daily life activities throughout Morocco. Our specialty goes also to adventure active tour for the explorers as well as nature enthusiast who can enjoy our trekking and hiking packages. Our spiritual discovery halal tours are also supplied in most respectful and rewarding itineraries for Muslim travelers from around the globe, these Islamic tours are totally escorted by well-versed guides and tour escorts. Cross-cultural services are well known in the travel market as one of the best fits customized tours based on the special interest of independent travelers and private parties. You are guaranteed scheduled departures, small groups and best prices in all our trips!. We Have handpicked these Halal tours and Islamic journeys to meet all your requirements offering the best accommodation and services for Muslim Travelers from around the world to meet their budget and time frame visiting the Kingdom of Morocco. Culture, history, and architecture Tour of ancient cities in Morocco your budget can afford. 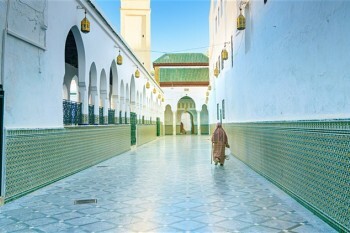 Self-growth Sufi journey in Morocco best landscapes, holy places and beauty that transcends religion. Spiritual Journey and Sufi retreats in Morocco with eminent scholars. Dance to Sacred Music. Fez Sufi Festival 2019 in Hommage to Al Shustari. The best learning journey about Sufism. An in-depth luxury tour of Morocco, visiting Fez, Marrakech, and Taroudant in private or group tour.